If you need to interrupt work on a task, due to cases such as an unplanned event or even a task reprioritization, you can split the task so that part of it starts later in the schedule. This might match the situation where the work for a task in your project needs to start, then stop somewhere in the middle of the task, and then resume at a later date. In that case, you can use the Split Task button to create a split in the middle of the task’s Gantt bar. Hover over the right end of the split task until the cursor changes to an expansion arrow. On the Format menu, press on Bar Styles option. 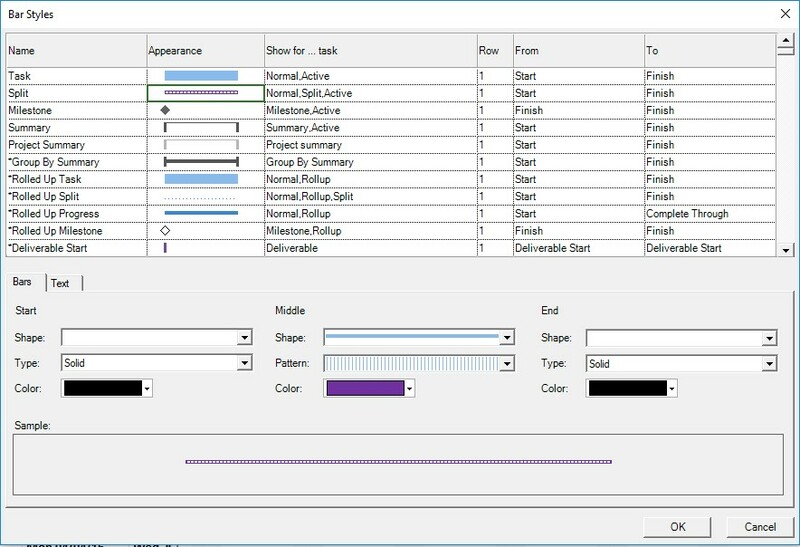 On the Bars tab, under Middle, click options for the split bar in the Shape, Pattern, and Color lists.